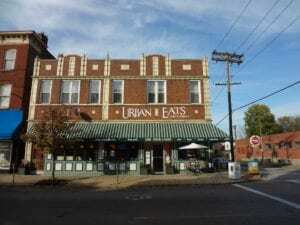 Join the Downtown Dutchtown Business Association on Wednesday, August 17th for their monthly After Hours at Urban Eats as they celebrate eight years at the corner of Meramec and Virginia. Come by for live music, food, and drinks! This is also the first Community Improvement District signing party. Notaries will be on hand to certify signatures for those within the CID wishing to sign the petition. After Hours starts at 5:30pm on Wednesday, August 17th at Urban Eats, 3301 Meramec at Virginia. Read more news about DT2.